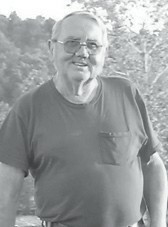 James Edward Hall, 72, of Dry Fork, died January 31 at Whitesburg Appalachian Regional Hospital. A son of the late John Ed and Nellie Lee Pack Hall, he was the father-in-law of the late David Brian Johnson, and a brother of the late Walter Gene Hall and Jerry Royce Hall. Mr. Hall was also preceded in death by six infant sisters. Surviving are his wife, Jenny Ruth Blair Hall; three daughters, Deborah Gibson and husband Jerry of Dry Fork, Jennifer Johnson of Abington, Va., and Jamie Howard and husband Joshua of McRoberts; a brother, Lawrence Hall of Ice; five grandchildren, Jason, Brandon, Kaylee, Jacob, and Ally; and a great-grandchild, Keegan. Funeral services for Mr. Hall were held February 2 at Letcher Funeral Home in Whitesburg. Burial was in Green Acres Cemetery at Ermine.